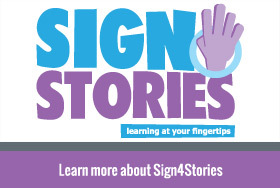 Sign 4 Learning is a unique initiative that successfully uses signs taken from British Sign Language to increase targeted vocabulary in hearing children. 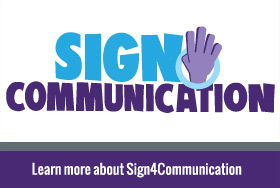 It was written and trialed in Luton by Early Years and Primary Consultants, together with a qualified BSL signer. The action of the sign, coupled with the spoken word is a powerful tool that helps children to remember new vocabulary effectively. 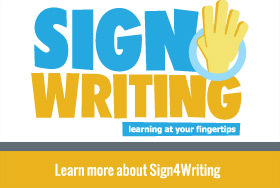 Children learn best when they are actively engaged and with Sign 4 Learning they are not just hearing and saying new words, but doing them as well! 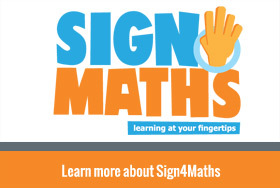 Data from Sign 4 Learning shows significant and measurable progress towards the EYFS Early Learning goals during the eight week research periods for Sign 4 Stories, Sign 4 Maths and Sign 4 Feelings and Behaviour. “Michael Jones Talk4meaning:- This is a winning formula! 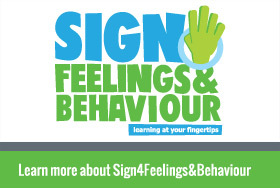 Sign 4 Feelings and Behaviour will appeal to children, parents and practitioners, giving them loads of prompts for discussion.